AMES, Iowa – Eight years ago, Nadia Anderson blazed trails at Iowa State University when she offered a community design project as an optional studio class for architecture students. The idea of students collaborating with community residents to address issues through design was the exception in many design schools. “There's a pretty good tradition of this at Iowa State. But it hasn’t been identified, labeled or articulated,” said Anderson, an assistant professor of architecture and urban design, extension specialist and co-director of Iowa State’s Community Design Lab. There is a name for 'it' now. Called public interest design, it’s a professional movement within many design disciplines. 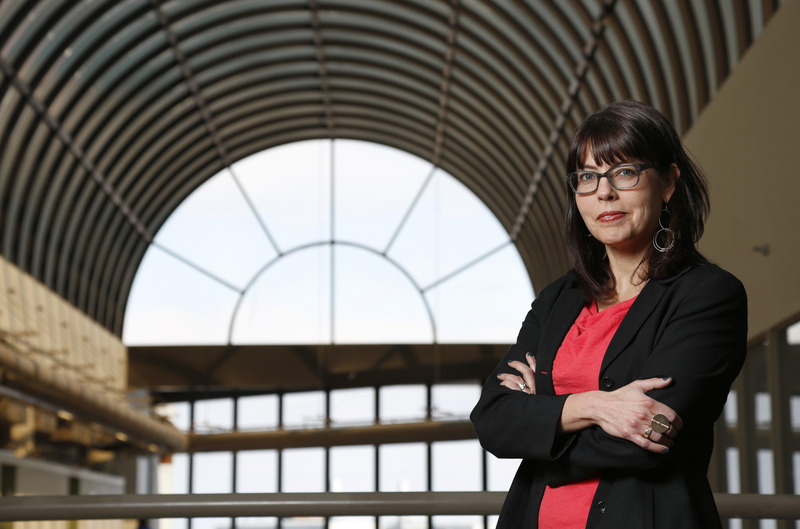 And Anderson hopes to spark interest within Iowa’s design community when she brings in leaders in the field for a two-day institute at Iowa State. The Design Corps Public Interest Design Institute will be from 9 a.m. to 5 p.m. Friday and Saturday at the ISU College of Design’s Design on Main facility, 203 Main, Ames. Anderson and colleagues from the Community Design Lab attended the institute a year ago in New York. They heard leaders in the field present case study examples of projects and discuss best practices. And they learned the practical financial and managerial aspects of how a design firm focused on public interest design makes ends meet. Excited about the program, they asked Bryan Bell, founder of the nonprofit Design Corps and the institute, if he would bring the course to Iowa. In addition to Ames, the five-year-old program is being offered this year in Detroit, Dallas, Pittsburgh and Brownsville, Texas. Public interest design is often referred to as community design, participatory design or social interest design. It evolved in reaction to top-down urban renewal projects in the 1950s and 1960s in which residents had no voice in decision-making about what would happen to their communities. Designers in the advocacy planning and design movement of the 1960s worked as advocates for neighborhood residents, sometimes prioritizing local voices over design quality. In public interest design, both communities and professionals bring expertise to the project, operating from a place of equality. Residents and local organizations understand a place’s history, the patterns of how space is used and the availability of businesses and services. And architects and designers have the training to visualize alternative futures, which allows stakeholders to react. “Both the stakeholders and the professional bring valid knowledge to the table and create the potential for a better future,” Anderson said. The work requires new ways of thinking about the business of design and design’s role in communities, however. Anderson said this could be challenging for organizations that don’t typically work with designers and for designers whose work starts with projects articulated by fee-paying clients. “Public interest design is a professional activity that needs to be paid for and not pro bono. It’s not a donated service activity,” she said. "Firms doing public interest design often have to cobble together different kinds of resources from governmental funding to foundation grants." Iowa State's Community Design Lab concentrates on organizing and overseeing projects in the realm of public interest design. A partnership between the College of Design and ISU Extension and Outreach, the lab encompasses not only expertise in architecture, but also landscape architecture, sustainable agriculture, community and regional planning and community engagement. Anderson and Carl Rogers, associate professor of landscape architecture, are co-directors. "Partnership with communities is the foundation of what we do," Anderson said. "While we bring professional expertise and research to the table, the local knowledge and decision-making provided by our community partners is essential." The Community Design Lab provides oversight on projects related to health and wellness (urban agriculture systems, trail systems, inclusive design), infrastructure and prototypes (stormwater management, affordable housing, streetscape systems) and community revitalization (economic revisioning, disaster recovery and mitigation). The lab is working on projects in the Capital East neighborhood and SW Ninth corridor in Des Moines, and has worked extensively on flood recovery with the Time-Check neighborhood in Cedar Rapids. Other projects have been in Waukon, Maquoketa, Centerville, Clarinda and Cresco. "It's really about looking at how you use design to increase equity and get more people and voices involved in decision-making about what's going to happen in their community," Anderson said. Public interest design is a professional movement within many design disciplines. Often referred to as community design, participatory design or social interest design, it involves partnerships among communities, residents, nonprofits, businesses and design professionals. Nadia Anderson, an assistant professor of architecture and urban design, extension specialist and co-director of Iowa State's Community Design Lab, was one of the first faculty in the College of Design whose students work with Iowa's urban neighborhoods and rural communities to address issues through design. Now she's hoping to spark an interest in Iowa's design community. "While we bring professional expertise and research to the table, the local knowledge and decision-making provided by our community partners is essential." ISU planning students worked with a Des Moines neighborhood association on a new plan. Ribbon cutting for energy-efficient, affordable house designed by Anderson's students and residents of Corning. Working with Clarinda residents, ISU students designed this concept for an arts hub. Partnering with ISU, Tripoli converted a former convenience store into a trail head. The Iowa Correctional Institution for Women and ISU landscape architecture students collaborated on outdoor classrooms for the new facility.